Intervention is a process to solve conflicts and problems without using violence. Students will find resolution to various issues: fights, arguments, jokes, misunderstandings, love, lies, and jealousy by using the intervention process provided by mediators. In each episode, interveners help participants solve all their problems and provide participants with nonviolent resolution skills. Nicknames and teasing are the subjects of this episode. 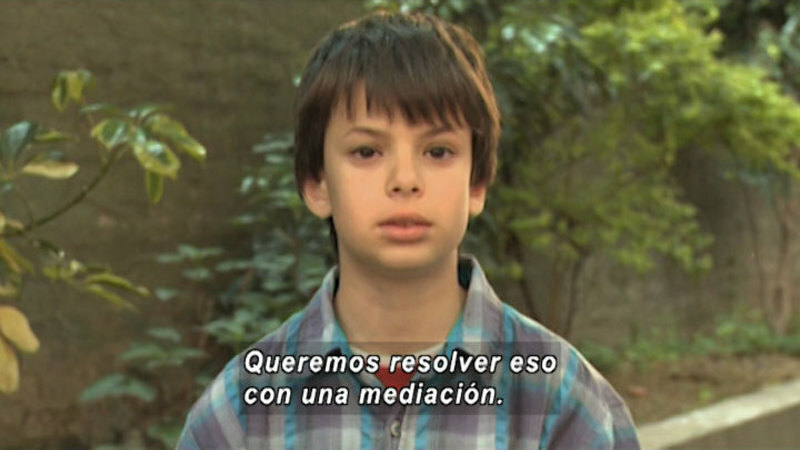 Ana and Lucas attend to an intervention because of jokes, teasing, and name-calling. Lourdes also asks for mediation because Tobias and a group of his friends created a Facebook page to mock her.